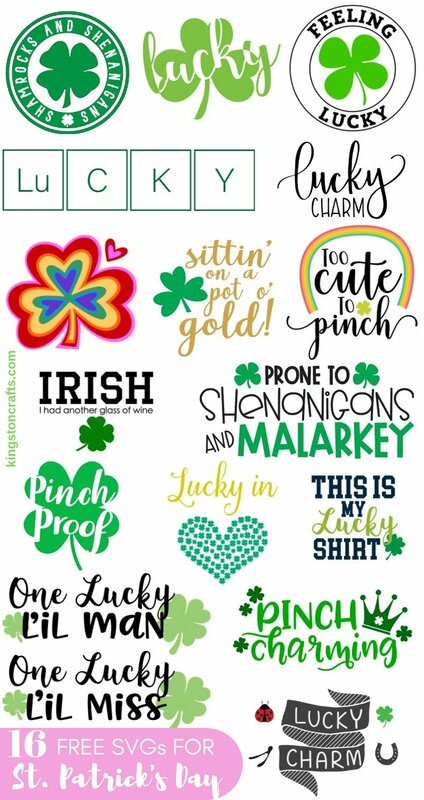 Get ready for St. Patrick’s Day with sixteen free SVG files that will make you the hit of any party! While I admit I don’t do much decorating for St. Patrick’s Day – I do love making my own custom shirts. 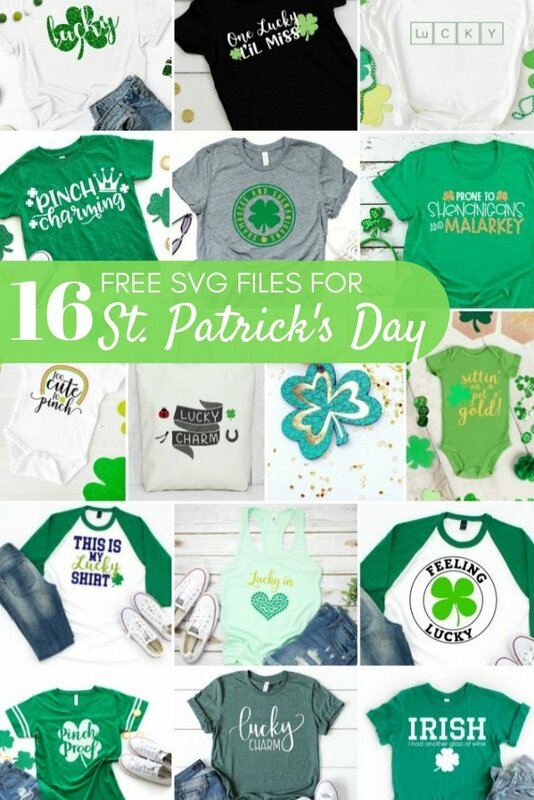 They are such a fun and inexpensive way to celebrate – and along with 15 of my favorite people we’ve created a round up of FREE svg files so you can show your spirit in style! Besides being – you know…FREE – the best thing about these svg files is that they can be made with any material and in any color. Want something sparkly? How about gold glitter iron-on? Running a 5k? Put it on a shirt with white SportFlex! Whatever the celebration – you can create something customized just for you in only a few minutes. 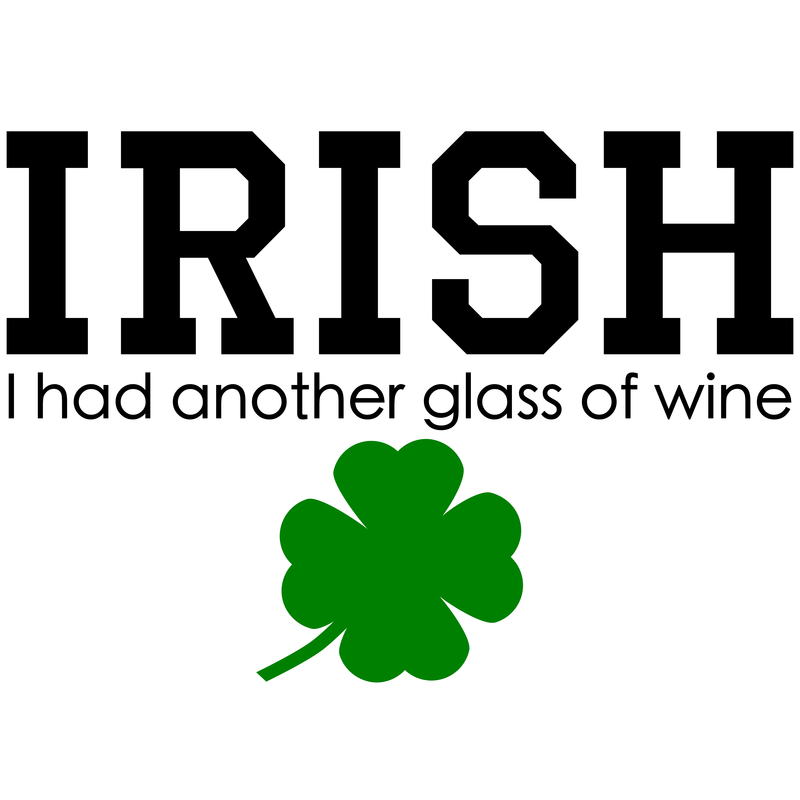 I almost feel like a traitor to my Irish heritage – but I don’t really like beer. GASP! So I’m still here for the party – I’ll just be in the corner with my glass of wine if anyone needs me. Which is why I created this shirt! Click the image then right click and select “save as” to download to your computer. I am RIDICULOUSLY lucky to be part of tribe of incredibly creative women and every month we share FREE svgs for upcoming holidays and events (see links below). Head on over to our Valentine’s Day round up for last month’s SVGs. Next month – Easter!! woohoo!! Hi Cathy! I just switched out the link – let me know if it still doesn’t work for you and I’ll email the file directly to you. I right click and it saves as PNG not SVG? Hi Lori! PNGs also work for die cutting machines so you are good to go. But I also updated it with an SVG link as well. I tried right clicking with Chrome and Internet Explorer but it only saves a PNG file. It’s such a great design! Hi Darlene! I just switched out the link – let me know if it still doesn’t work for you and I’ll email the file directly to you. Fabulous! Thanks for letting me know!